Boys’ Soccer playoff game information. 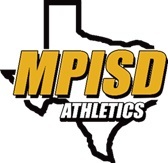 Mt Pleasant vs. Pine Tree at Pittsburg on Friday (Mar 29). Mt Pleasant plays at 8:00 pm after the Kilgore vs. Pleasant Grove game at 6:00 pm. Tickets are $5.00 for adults and $3.00 for students.